Okay, I am not completely sure if this is lemon basil or lime basil. The leaves do have a distinctly citrus tang with a hint of mint. Part of me thinks that this is lime basil, but the lemony flavour of the leaves keeps telling me otherwise. 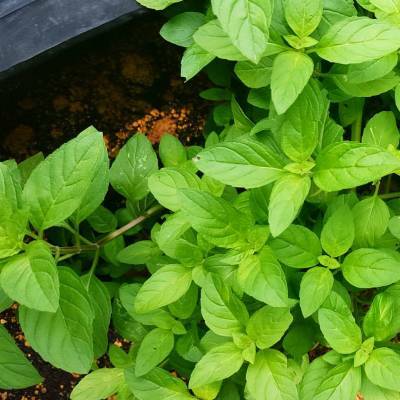 The whole plant looks like a little bush of leaves and is a wonderful addition to my herb garden. I am trying to propagate the plant with cuttings. Fingers crossed that the little new ones survive and flourish!